Angela and Robert Petruzzi know the value of seeking the advice of an experienced mentor. Doing so over the past 15 years has helped their eco-friendly floor paints and oils business survive and thrive. Angela and Robert relocated from Switzerland in 1999. They had worked extensively in the Swiss coatings industry and were well versed on the health issues caused by many synthetic products. After settling in Bayswater North, in 2000 they established Anro Floorcare, a specialist floor sanding service using only safe and natural finishes. Fuelled by a passion to educate people about the hidden health risks of many common paints and stains, in 2006 they took over the Australian distributorship of Livos. The German-based company is a world leader in producing ecological plant based finishes. 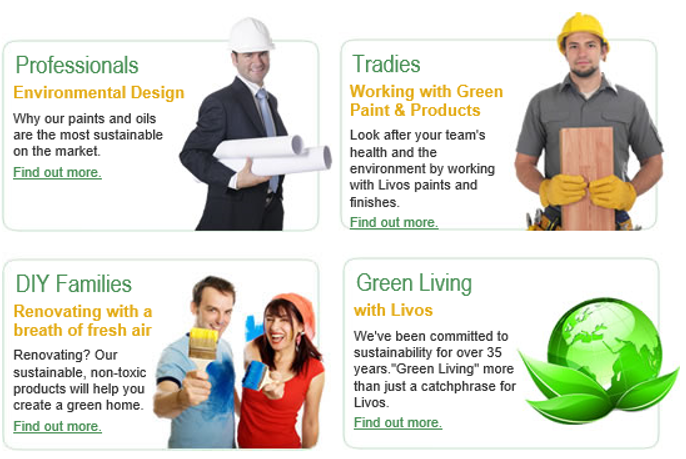 Livos Australia is committed to making homes, workplaces and the environment healthier and safer for everyone and minimising exposure to harmful toxins in traditional synthetic paints and finishes. The business, which has three full-time staff and casuals when required, supplies non-toxic plant based flooring oils, paints and tints, waxes, and cleaners to clients all around Australia. “We believe these are the healthier alternatives to the traditional synthetic coatings,” Angela says. 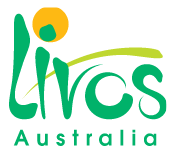 Livos Australia sells wholesale to other outlets locally and nationally, and retail from its showroom and web shop. The online store, which is constantly updated with newsletters, product updates and “how-to” videos, is particularly popular with interstate and some overseas customers. Angela first saw a mentor in 2000 as part of the New Enterprise Initiative Scheme. “He was able to keep us on the straight and narrow and … suggest ways of how to handle the various challenges one faces with a new niche business,” she says. More recently, Angela and Robert have had 24 sessions with SBMS mentor Elizabeth Raut over four years. Elizabeth spent 10 years as the Victorian manager of the Australian Institute of Architects, where she worked on all aspects of running an organisation including financial management. Before this she worked in the health sector in a range of business-related roles. Elizabeth has helped Angela and Robert focus on their particular roles and grow the business. Planning has been a strong focus throughout. Initially they reviewed an existing Business Plan, which reinforced their customer service philosophy and its contribution to the growth of the business. Risk management has also been a constant consideration in managing a business of this nature. “I encouraged Angela to draft a Marketing Plan and we regularly reviewed the marketing strategies,” Elizabeth says. “She likes and is good at participating in environmentally sustainable expos and other events held along the Eastern seaboard. Angela and Robert are now documenting all processes, creating templates, establishing goals and strategies in various marketing campaigns, visiting interstate expos and maintaining client contact with the larger resellers. They have also managed to take time off and enjoy sport and the gym, which helps to reduce stress and improve their physical wellbeing. Elizabeth says Angela and Robert are now much more self-assured in running their business. Angela’s confidence in her decision making has increased substantially and she continually evaluates the impact of decisions on all stakeholders. “The business has benefited from my ongoing work with Robert and Angela and over time they have come to understand and appreciate the mentoring support I have given them individually and collectively,” Elizabeth says. Angela is full of praise for Elizabeth and her earlier mentors, who have made a big difference. “Whilst I have utilised many small business courses over the years, having a mentor as a one-on-one, being more specific to one’s needs and even to use as a sounding board for ideas is very important,” she says.